‘O how sweet is rest and ease after Sickness and pain!’, exclaimed the Lancashire minister and medical practitioner James Clegg (1679–1755) when he found himself ‘much better’ from a month-long ague. This 2-day conference will investigate what exactly sickness and health felt like for patients such as Clegg. We invite abstracts for 20-minute papers on the diverse sensations, emotions, thoughts, and spiritual feelings of patients and their families and practitioners from ‘the first invasion’ of illness to ‘perfect recovery’, chronic debility, or death. By encompassing all states, signs, stages, and outcomes of disease in early modern Europe and the wider world, Disease & Ease seeks to broaden and rebalance our overall picture of premodern health, showing that not all conditions ‘carried the patient to the grave’. Lately, a number of scholarly centres for the medical humanities have been restyled as centres for ‘health humanities’, a linguistic adjustment indicative of a growing desire to expand the remits of the field to incorporate a greater array of physical and mental states, including health itself. It thus seems an opportune moment to hold a conference which considers experiences of health and ease alongside sickness and suffering. L0019338 P. Boone, Allegories of the senses (1651). Wellcome Library, London. CC BY 4.0. Since Roy Porter’s call for a ‘medical history from below’ (1985), much has been written about the early modern patient. The first swathe of research focused mainly on patients’ practical responses to sickness, such as their choices of therapies and practitioners. In the 1990s, scholars became increasingly interested in the somatic aspects of illness, as exemplified in Barbara Duden’s seminal text, Woman Beneath the Skin. The bourgeoning of the histories of pain and emotions in the 2000s has significantly revitalized and enriched this research, and now – encouraged by the forthcoming meeting of the European Association for the History of Medicine and Health – a sensory approach has been added into the mix. Disease & Ease will showcase and evaluate these exciting developments, and consider current and future challenges and opportunities. Drawing on all manner of sources, from bed-sheets to doctors’ casebooks, the conference will enable us to reach a new level of empathy for patients in the past as well as the present, while forging fruitful links between scholars working in a variety of disciplines within the health humanities. We are excited to announce two keynote speakers, Professor Michael Stolberg (University of Würzburg), a world-leading scholar of early modern experiences of sickness and death, and Professor Sasha Handley (University of Manchester), who is at the forefront of research on wellbeing and health, with a focus on the material culture of sleep. Our conference will conclude with a compelling roundtable discussion on how the experience of health and illness has changed over time; discussants include expert patient and Ambassador for the MS Society and ADD International, Trishna Bharadia, philosopher of illness at the University of Bristol, Professor Havi Carel, specialist nurse Ros Badman, and general practitioner Dr John Jitan. Relationship between the body and soul or mind, and parallels or paradoxes in patients’ spiritual and bodily experiences. Methodological and conceptual challenges and opportunities in this field of research. If you would prefer to organise a three-paper panel, please send one document containing all three sets of information outlined above, plus an overall panel title, summary of the panel’s themes, and the chair’s name. There will be no conference registration fee. Bursaries to the value of £90 are available for a limited number of postgraduate students and sessional or unwaged ECRs; please indicate if you would like to be considered for a bursary. 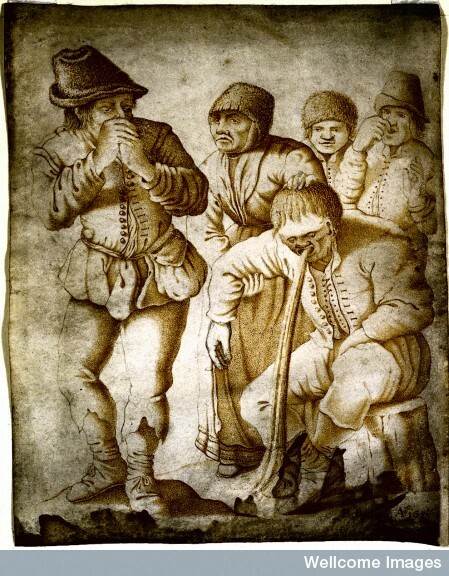 The conference is part of Hannah Newton’s Wellcome Trust University Award, ‘Sensing Sickness in Early Modern England’. Thanks to the Wellcome Trust for funding the event.